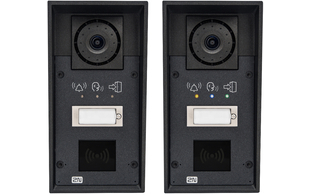 2N® IP Force is an elegant yet exceptionally sturdy IP intercom with reliable security for your building entrance offering IP65 protection as standard. It's perfect for users that require a high standard of presentation as well as resistance to external influences. It has two microphones that gives echo-suppression which ensures sufficient volume and excellent clarity of communication. There is a choice of visual signalling models these include three simple icons which signal the status of the intercom. Orange = ringing, blue = in call and green = door released. These intercoms are ideal for installation in hospitals and other public buildings as they help to support the needs of people with hearing difficulties or impaired orientation abilities. 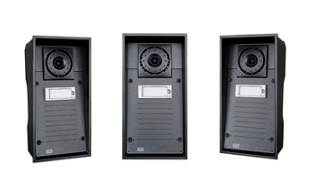 All 2N IP Force models are available with an optional HD camera. 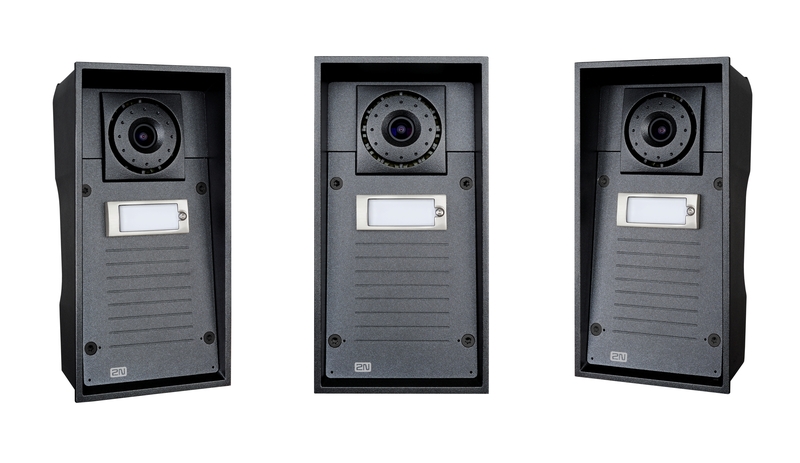 This HD camera offers the additional advantages: clearer images, improved night vision with infra red lighting and intelligent switching between day time and night time settings. 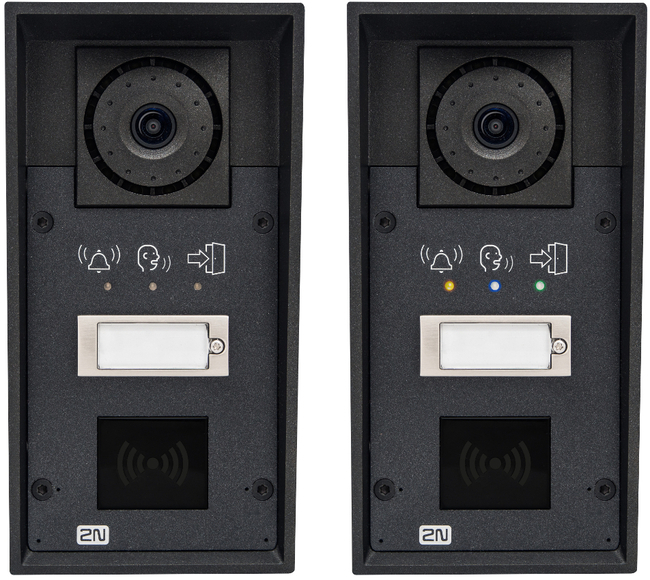 The 2N IP Force is available with 1, 2 and 4 buttons and comes with a range of feature options: with or without camera, access control, visual alerts and 10w loud speaker. 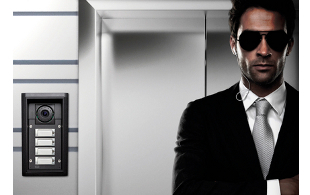 2N offer a range of accessories for the IP Force intercoms these help to expand the functions of these units. 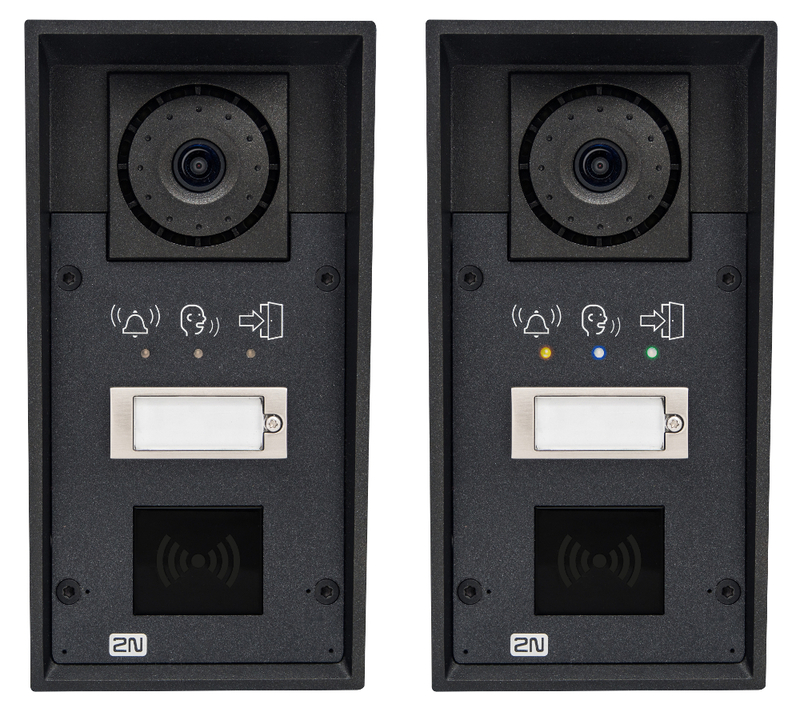 The 2N IP Force comes ready to mount on the surface of a wall or for flush mount installations there are mounting boxes available to purchase. 2N® Access Commander - a software tool for the management of 2N IP intercoms, access control units and employee attendance. 2N® IP Network Scanner - is a simple, freely available application for locating intercoms from the 2N® IP family in the network.